We are excited to announce that our Autism/Special Needs Ministry is now ready to launch! 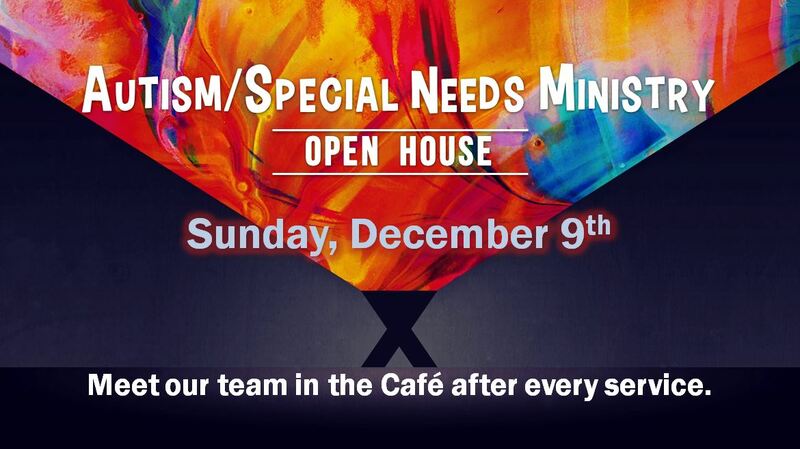 In preparation, we will be hosting an Open House on SUNDAY, DECEMBER 9th after every Worship Service. Please share this great news with family and friends who are in need of the service this ministry offers.